After a successful first edition in 2015, this meeting returns to Barcelona on February 8-10, 2018. The scientific meeting will cover all practical aspects of diagnosis of hematological disorders suspected when encountering leukocytosis or cytopenia, with a strong focus on morphology, pathology and flow cytometry. Below you can find key information and links to important details regarding registration and accommodation and a wide array of sponsor opportunities available for pharmaceutical companies. Hematologists (in training) interested in updating their knowledge of how to deal on a daily basis with blood and bone marrow samples. Abstract submission has closed. The submitting authors will be informed of the allocation results shortly. get the proper orientation from morphological examination of blood or bone marrow smears. know how to orient complementary flow cytometry panels. understand how to apply classifications (mostly WHO 2016). appreciate how cytogenetics and molecular biology may help reaching an integrated diagnosis. better interact with clinicians in discussing difficult cases. 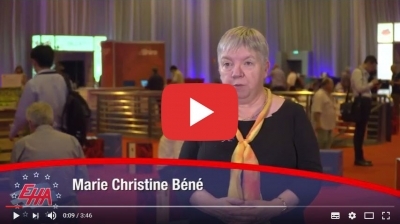 Interview with Prof Béné about why you should attend the upcoming Scientific Meeting. Online registration is closed. For more information about registration, please click here.